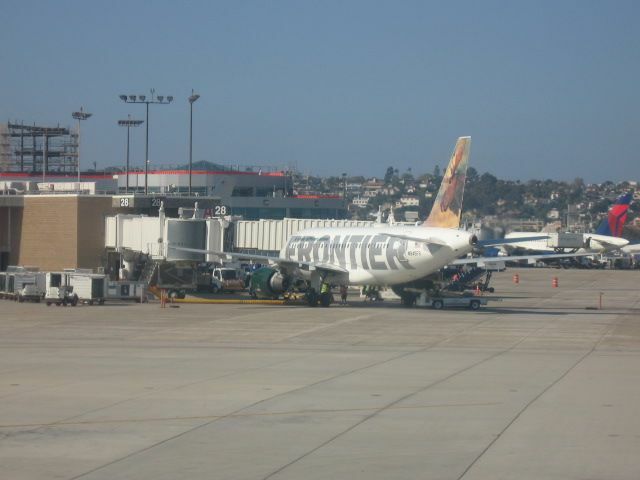 A Frontier Airlines plane in San Diego. Let’s look at the problem through each player’s prism. If you use a travel agency — traditional or online — you expect full service. You don’t want to be told that your agent can only issue a ticket, but for anything else you need to buy, you have to go to the airline’s website. Then why would you want to pay an agent to book your travel? The other option is for the agent to go on the airline website and make those additional purchases, but that would take more time, and the agency would make no commission. Naturally, agents prefer to accomplish all their transactions in one place, and to get paid for what they sell — that place is a third-party Global Distribution System (GDS). Now let’s see how the airlines think about this. They pay millions of dollars a year to the GDS companies, the largest of which are Sabre, Travelport and Amadeus, to distribute — and often host — their data. As I’ve written before, some airlines have been trying to move away from the GDS model in favor of “direct-connect channels” in order to cut costs. Not surprisingly, the GDS and travel-agency reaction has been negative, and those players still have big influence, because more than half of travelers use the GDS system. So the airlines have been using these “unbundled services” they now sell separately from airfare to make a point and potentially force travel agencies to adopt the direct-connect model. As that’s not a realistic outcome in the foreseeable future, the airlines have also been trying to get their GDS partners to lower the relatively high fees they charge per transaction. Even as carriers try to encourage customers to shop directly on their websites, they understand that businesses prefer to deal with travel agencies. In “Decoding Air Travel,” I suggested that the most realistic solution to this dispute is a hybrid model combining GDS and direct-connect features. Many airlines have already disconnected their websites from the GDS stream, and there is technology that can include direct-connect elements in GDS platforms. The GDS companies, however, have rejected that scenario, which would drastically reduce their profits. Unless that deadlock is resolved between the parties, a lasting solution won’t be found. The government can’t regulate everything, and in this case, requiring the airlines to sell unbundled products through the GDS’ channels would put more money in the GDS pockets and give the impression that the DOT is helping certain businesses at the expense of others. This entry was posted in Travel and tagged airline fees, airlines, American Society of Travel Agents, ancillary revenue, corporate travel, Decoding Air Travel, Department of Transportation, Direct Connect, DOT, GDS, Global Distribution System, luggage, online travel agencies, premium economy, travel agents, unbundled services. Bookmark the permalink.